Body piercing is the decoration on the body (human) form of embedding objects (mainly from metal, but can also bone, teeth, or antlers) a specific form of semi-permanent or permanent manner forwarded to the skin. In modern society, most of the reason people wear it is for jewelry (ornamental), although traditional practices in certain communities often have a religious ritual or social significance. 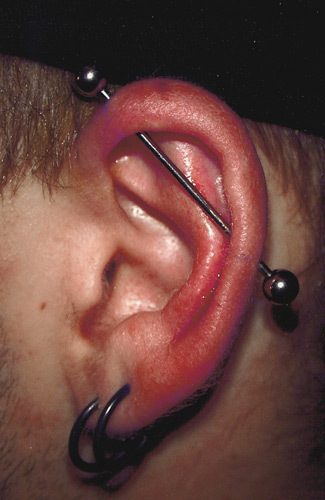 By among other punk or post-modern movements like grunge and alternative, body piercing can be symbols of rebellion on the establishment. Another reason is for sexual gratification. Ear piercing is a simple procedure. Risks that may occur only allergy or infection. But be careful if an infection could trigger other diseases can even be in the form of paralysis. Ear piercing is an ancient civilization that has made human ancestors since 5000 years ago.Children or adults who will perform ear piercing that is undergoing the same procedure until translucent cartilage piercing to the back. Although the procedure has been well served by not a few people who have an infection due to ear piercing. This infection is a risk yan always appear even if sterile procedures were followed. This infection can sometimes cause serious illness. As experienced Grace Etherington, age of 15 years this British have suffered paralysis and unable to speak after suffering an infection in her ears are pierced. Ear infection that has triggered the emergence of a rare disease Guillain-Barre syndrome in the nervous system so that paralyzes the body. Because this syndrome, Grace is only able to communicate through blinking. Guillain-Barre syndrome is a rare autoimmune disorder that affects the peripheral nervous system. This is usually triggered by a severe infection and causing rapid paralysis, partial or total, starting with a loss of feeling in the feet (numbness) to affect the limbs, face and tendons. And the worst was a few days after suffering an infection in the ear, Grace was having trouble walking so that her mother rushed her to Mariime Medway Hospital in Kent. "I was very worried about him. She said could not hold a pencil at school and could not walk. I was really devastated and could not imagine my little girl could only blink for the rest of his life. That's worse than death, "explains Sharon as quoted Dailymail, Wednesday (10/11). Grace was in a coma for two days and some organs begin paralyzed. Her lungs had collapsed. But after a long treatment appears miracle because he began to realize while before the doctor was not really expecting much. Grace began to move the fingers and mouth. He slowly began to wiggle his fingers and then try to talk. The words do not come out, but at least he was able to move his mouth. Although difficult to link pierced ears with paralysis, doctors recommend avoiding any kind of infection because the infection can lead to serious illness.For a safe ear piercing, one must also know the health risks to her self if she suffered from diabetes, high blood pressure, inflammation of the skin which can actually worsen the condition. As reported by eHow, upper ear piercing trend is most often become infected. Piercing the upper ear is not recommended by most doctors. If infection occurs immediately consult a doctor Ear, Nose and Throat (ENT) to be given appropriate antibiotics. If no infection occurs during the piercing process, people also should be diligent in cleaning the ear and surrounding area. Make sure the area is free of lotion, shampoo or conditioner rest, perfume or dirt in sight. Ear piercing healing process can last 2-6 weeks then it is diligent to clean the front and back of ear with alcohol or other cleaning solutions. 68 Tanggapan untuk "BE CAREFUL! ear piercing can cause paralysis"
the conversation. Usually it's caused by the sincerness displayed in the article I browsed. And on this post "BE CAREFUL! ear piercing can cause paralysis". I was actually moved enough to post a thought ;-) I actually do have a few questions for you if it's allright. I'd like to follow everything fresh you have to post. Could you list all of all your community pages like your twitter feed, Facebook page or linkedin profile? After checking out a number of the blog articles on your site, I honestly like your way of writing a blog. blog posts. In any case I'll be subscribing for your feed and I'm hoping you write once more soon! I'm curious to find out what blog platform you're using? I'm having some minor security problems with my latest site and I would like to find something more risk-free. Do you have any recommendations? and full size, identical to the original virus. you're a great author. I will always bookmark your blog and will come back later in life. I want to encourage you to definitely continue your great job, have a nice holiday weekend! First off I want to say excellent blog! I had a quick question which I'd like to ask if you do not mind. I was curious to know how you center yourself and clear your head before writing. I have had a hard time clearing my mind in getting my ideas out. I truly do enjoy writing but it just seems like the first 10 to 15 minutes are lost simply just trying to figure out how to begin. Any ideas or hints? Appreciate it! explorer. I'm not sure if this is a format issue or something to do with web browser compatibility but I figured I'd post to let you know. What i don't understood is in truth how you're not actually much more neatly-liked than you might be now. using? I'm experiencing some minor security problems with my latest blog and I would like to find something more safeguarded. Do you have any suggestions? What i do not realize is in fact how you're now not really a lot more neatly-favored than you may be right now. You are very intelligent. You already know therefore significantly when it comes to this topic, made me personally imagine it from numerous varied angles. Its like women and men are not fascinated unless it is something to accomplish with Woman gaga! Your individual stuffs nice. All the time care for it up! What's up, all the time i used to check blog posts here in the early hours in the dawn, for the reason that i enjoy to find out more and more. Hello mates, its great article concerning educationand fully explained, keep it up all the time. Hello, Neat post. 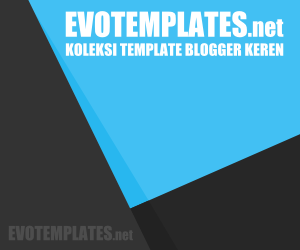 There's an issue together with your website in internet explorer, may check this? IE still is the market leader and a huge section of other folks will miss your great writing because of this problem. you just could do with some % to force the message home a little bit, however other than that, this is excellent blog. I'm very happy to find this web site. I wanted to thank you for your time for this wonderful read!! I definitely really liked every little bit of it and I have you book marked to see new information on your site.